Psst. Mr. McKenna. Don't you think you should be enforcing Washington State law? Do you really think law enforcement should be left up to civil litigation by homeowners? And please, Mr. Consumer Protection, stop chasing the guppies and go after the sharks. Distant New York companies that do minuscule damage to Washington residents make a safe target for our courageous AG, it seems. But meanwhile, Mr. McKenna is careful to avoid stepping on the corns of the building/real estate/development lobby in Washington — where organizations like Windermere Real Estate / SCA, Inc. and the Stickeny Team flourish. In these cases, consumers can lose hundreds of thousands of dollars. No fear of that happening in Washington state — where the law has no teeth. Certainly the Department of Labor & Industries is accorded sub-minimal funding and authority. It seems the Department of Licensing is suffering similarly. Maybe we need prison terms for illegal contractors, deceitful real estate agents and those who profit from violating the laws to the detriment of homeowners? Fraud is fraud, whether done in a bank, a real estate office, or on the job as a contractor. And what is Mr. McKenna's stance on Washington cities or counties that fail to enforce the most basic consumer protection law in the state: the Washington Building Code? Consumers can lose tens of thousands of dollars or even their life savings when cities and counties allow construction contractors to do sub-standard work — to do renovations or build new homes that don't meet basic state Code requirements. Who makes a city or county enforce the Washington Building Code? The answer is NO ONE. The Attorney General's office will do nothing. They say if a homeowner has been hurt by a city or county that has flouted the Washington Building Code, it's up to the homeowner to file suit. Will the AG's office help in any way? No. They say they don't get involved with "private" law suits. Think about that: Your city gets friendly with the local developers and contractors, and ignores state law, and the AG's office views it as your personal problem. To solve your personal problem, you must bankroll a lawsuit against the tax-funded lawyers from City Hall ... Yeah, that works. But wait! We also have the Public Duty Doctrine. That's the legal argument that effectively bars a citizen from ever winning a suit against City Hall. How does the AG think the homeowner will get around that barrier? Speak into the microphone, Mr. McKenna. We know you can protect consumers from the venders of $29.95 software packages, but can you protect Washington consumers from venders of $400,000 homes and their friends in City Hall? Click here to see our evidence of Redmond's violations of the Washington Building Code. And following below is some of our correspondence with the AG's office. 1. November 27, 2006: Our first letter to Mr. McKenna. We do not ask for legal advice, but ask: "... what is your view of cities in Washington — such as Redmond — that fail to abide by the law?" 2. December 18, 2006: Our letter is answered by David Huey, Assistant Attorney, Consumer Protection Division. He says he can't give us legal advice (that we never asked for), and dodges the question about cities that violate state law. 3. February 20, 2007: We write back to Mr. Huey, asking "What's the use of having laws [Washington Building Code] if they are not enforced?" We ask what tools he has for enforcing RCW 19.27.031 and RCW 19.27.050. We point out that Mr. McKenna recently chased down two out-of-state companies that marketed $29.95 software packages "through deceptive means." Then we asked him to consider the harm done to consumers by cities and counties that fail to enforce the Building Code. February 21, 2007: We testify before the House Judiciary Committee, urging that legislators require the Attorney General to enforce state law. February 20 – March 27: Mr. Huey does not answer our letter. We still don't know what tools Washington has for enforcing RCW 19.27.031 and RCW 19.27.050. 4. March 27, 2007: We write to Mr. Huey again, telling him of Redmond's postdated ultimatum to us. (See Redmond's page, Item 10). We mention the Consumer Protection Act and suggest that it be used to file an amicus brief in our case, to force cities such as Redmond to live by Washington State Law. March 27 – May 1: We receive no response from Mr. Huey. May 1, 2007: We visit Sen. Rodney Tom, our senator, and explain that we think the enforcement of the Washington Building Code should be the Attorney General's task. We tell him that Mr. Huey has not responded to our February 20 and March 27 letters. 5. May 2, 2007: A legal assistant in the Consumer Protection Division writes to say Mr. Huey wrote to us on March 28 but the letter was misaddressed and returned to his office. She encloses a letter from Mr. Huey, dated March 28. In this letter, Mr. Huey tells us that his division has no authority over Redmond. He shows no interest in having the Washington State Building Code enforced in Washington: He says we should consult a private attorney. 6. May 10, 2007: Mr. Huey writes back, and finally breaks the news: He states that a 1995 decision, Keenan v. Allen, exempts municipal corporations from the operation of the Consumer Protection Act. 7. May 28, 2007: We write back to Mr. Huey, asking if there is anyone in the Attorney General's office interested in enforcing the Washington State Building Code? 8. May 29, 2007: We write to Rob McKenna, telling him about our correspondence with Mr. Huey and asking him to DO something — like approaching the Legislature with the Keenan v. Allen decision and finding a way to enforce the Washington Building Code on cities and counties. 9. June 5, 2007: Someone in Mr. McKenna's office passed our May 29 letter on to Douglas Walsh, Division Chief of the Consumer Protection Division. On June 5, he writes to us and explains that the aggrieved homeowner must sue the city or county — there is no state enforcement provision. Mr. Walsh does not mention the Public Duty Doctrine, the legal theory that puts cities and counties beyond the reach of such suits. 10. 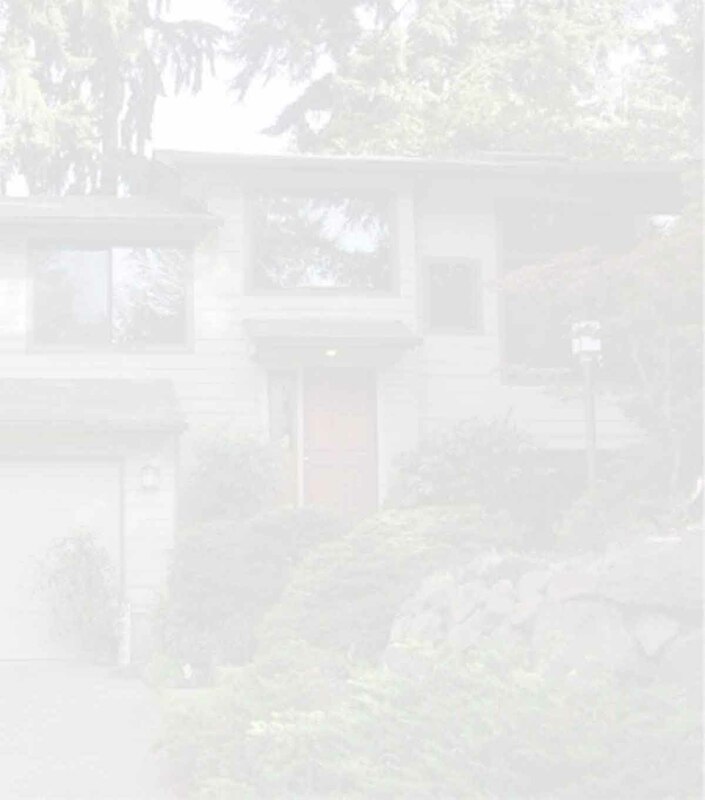 June 5, 2007: We send a letter to Rob McKenna, telling him about Redmond's legal strategy: If we don't renounce our claims, Redmond will declare our house a "nuisance" and have it demolished ("abated"). We ask Mr. McKenna to take a position on Redmond's conduct. 11. June 8, 2007: Mr. McKenna's office passes our June 5 letter on to Mr. Walsh, who writes to us commenting that our June 5 letters have crossed in the mail. Mr. Walsh states: "... We cannot be of further assistance in this matter." He does not address the substance of our June 5 letter: Redmond's retaliatory threat to demolish our home after we filed the very law suit Mr. Walsh recommended. 12. June 22, 2007: We write back to Mr. Walsh, asking him why he didn't address the issue presented in our June 5 letter: Redmond's threat against our home. We also point out that he failed to mention the Public Duty Doctrine, and the advisability of sending Tinkerbell (a homeowner) to harness Godzilla (a city or county that has already shown its contempt for the law). 13. August 2, 2007: We write to Doug Walsh. 14. June 15, 2009: June 15, 2009: We wrote to McKenna asking him to stop the DOL colluding with Windermere to flout Washington real estate law. We gave him specific examples and court decisions with documentation. 15. July 2, 2009: Jody Lee Campbell, Assistant Attorney General in the Licensing and Administrative Law Division, responded: McKenna supports DOL’s decisions on Windermere, McKenna will do nothing to enforce state law, and McKenna would defend DOL if anyone challenged its decisions. 16. July 13, 2009: We asked our AG correspondent why McKenna thinks it’s OK to allow Windermere to sell a contaminated meth lab house to unsuspecting buyers without even a hint of disapproval? How does his permissiveness help Washington consumers and his war on meth? "My role is to give the Department option-based advice, but any advice I give my client is subject to the attorney-client privilege." Since when is ignoring state law an "option" for a state agency? And aren't we taxpayers footing the bill so that the Attorney General will enforce the law? In a democratic society, who is protected from what by a governmental "attorney client privilege"? 18. August 12, 2009: We asked Campbell to cite the section of the Revised Code of Washington or legal precedent which gives the Department of Licensing the "option" to ignore state law. 19. August 17, 2009: Campbell ignored our questions. She cited from neither the Revised Code of Washington nor the Washington Administrative Code to support the notion that the Department of Licensing is empowered with "option-based enforcement" of state law. 20. August 21, 2009: We wrote to Campbell again and posed the same questions: What law, code, or court precedent permits the Department of Licensing to ignore state law? 21. September 1, 2009: We wrote to Douglas Walsh, Chief of the Consumer Protection Division in the Office of the Attorney General of Washington to tell him of the case currently unfolding in Bellingham, Washington. At this time, Windermere is selling condominiums from the Waldron & Young Condominium Complex, despite serious construction defects that may render the buildings uninhabitable in a few years. Will the Atty. Gen. move to protect Washington's consumers? Awaiting Walsh's answer. 22. September 8, 2009: Campbell responded by pretending our concerns with DOL inaction and malfeasance was just a personal grudge against Stickney. She also pretended that DOL action was awaiting the outcome of the Appeal. She did not provide the cites we requested — cites of sections of the RCW or legal precedents showing that DOL has the "option" to ignore state law. We now believe no such cites exist, and DOL enforcement of the law is not "option-based." 23. September 14, 2009: We wrote to Campbell, documenting her misrepresentations about our correspondence and Washington law. Among other things, we deplored her invention of discrediting statements and attributing them to us. In concluding our letter, we wrote: "The history of this correspondence shows that the Attorney General's office is protecting corrupt public officials and collusion between DOL and Windermere. You have amply demonstrated that the Attorney General himself is acting unlawfully and is an accessory to the acts of which we complain." 24. October 23, 2009: Mr. Walsh answered our September 1 letter. He does not dispute the history of Windermere’s predatory business practices and has now been informed that Windermere is knowingly selling defective condos. But he will take no pre-emptive action to ensure Windermere warns Waldron-Young condo buyers about the construction flaws. Walsh also says that if a consumer buys a defective condo from Windermere, the consumer will have to sue Windermere himself. Hummm, Mr. Walsh . . . you can’t help consumers BEFORE they fall victim to deceptive business practices, and you can’t help them AFTER . . . exactly what does your office do? Consumer complaints are retained in the data base for only three years and then discarded. In short, the Consumer Protection database is as useful to consumers as air conditioning is to an Eskimo. 25. October 18, 2010: We write to Robert Lipson of the Consumer Protection Division, confirming our understanding of the factors that trigger the Attorney General to file a Consumer Protection Act lawsuit. This letter is a follow-up to an earlier phone conversation with Mr. Lipson. 26. October 27, 2010: Mr. Lipson writes back, expanding his explanation and clarifying the factors that trigger the Attorney General’s office to file a Consumer Protection Act lawsuit. 27. May 7, 2010: At the Windermere Cup event, a group of Windermere Victims distributed The Washington Messenger May 7, 2011 flyer, "Legalizing Crime in Washington: The Windermere Prototype." The pamphlet accuses Attorney General Rob McKenna of undermining the State's consumer protection laws, giving as concrete examples the Department of Licensing and Windermere Real Estate. 29. May 20, 2010: Mr. Timothy Ford, Open Government Ombudsman, writes back to us, stating we have not accurately portrayed Attorney General McKenna or his office. 30. May 27, 2010: We answer Mr. Ford, comparing and constrasting his statements with the facts, the laws of Washington, and previous statements by the staff of the Attorney General's office. 31. June 5, 2011. Lee McDonald explains what happened when he asked Attorney General McKenna to enforce the Subdivisions Act of Washington. Surprise! McKenna turned a blind eye to a law-breaking developer, saying the issue was a "civil matter"
We note that the Subdivisions Act is RCW 58.17. Violation of any clause of that Act is a Gross Misdemeanor (RCW 58.17.300). Anyone who violates any provision of the Act "relating to the sale, offer for sale, lease, or transfer of any lot, tract or parcel of land, shall be guilty of a gross misdemeanor." Furthermore, "each sale, offer for sale, lease or transfer of each separate lot, tract, or parcel of land in violation of any provision of this chapter ... shall be deemed a separate and distinct offense," carrying a penalty of a $1,000 fine and a year (minus a day) in prison, according to RCW 9.92.020. But the Attorney General's office writes that violation of the Subdivision Act is just "a civil matter." The State Building Code (see Chapter 19.27 RCW) is one of the most basic consumer protection laws in Washington. It's there to protect the consumers of building services and the public at large. (1) To require minimum performance standards and requirements for construction and construction materials, consistent with accepted standards of engineering, fire and life safety. (6) To consolidate within each authorized enforcement jurisdiction, the administration and enforcement of building codes. The Revised Code of Washington also states: RCW 19.27.031. (1)(a) The International Building Code, published by the International Code Council, Inc.
(b) The International Residential Code, published by the International Code Council, Inc.